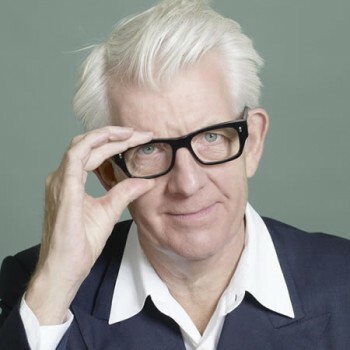 Nick Lowe has confirmed a string of solo acoustic headlining tour dates this fall. The tour dates will include both east and west coast appearances; he will also be appearing at his label’s birthday bash, Yep Roc 15, in October in Chapel Hill, North Carolina. Tickets for the Yep Roc 15 are currently on sale HERE. Tickets for tour dates will be on sale starting today in individual markets. Nick’s latest effort, The Old Magic, was released in September of last year to critical acclaim and was hailed as “elegantly mature, astutely sophisticated” by the Los Angeles Times. Yep Roc has also reissued Lowe’s long-unavailable first two albums Jesus of Cool and Labour of Lust to great acclaim. In 2009, Lowe gave his first headlining performance at the Royal Albert Hall and in 2011 toured with alternative folk band Wilco to stellar reviews. The Old Magic was recorded in London with Lowe’s crack backing band anchored by Geraint Watkins (keyboards), Steve Donnelly (guitar), and Robert Treherne (a.k.a. Bobby Irwin, drums). Additional musicians include Ron Sexsmith, Paul Carrack, and Jimmie Vaughan among others. The album was co-produced by Lowe, Neil Brockbank, and Treherne. Rolling Stone.com hailed Nick as “one of the sharpest lyricists in rock” when they premiered “Checkout Time” from the new album. Click the player below to stream “Checkout Time” now.